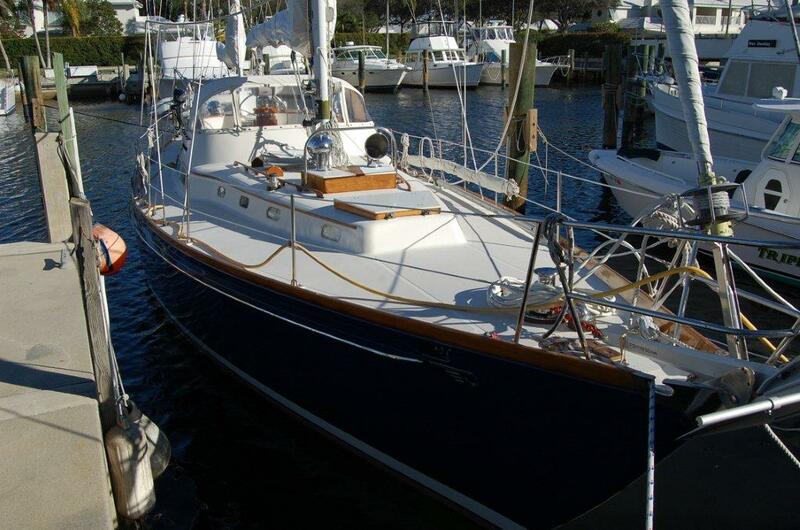 CIRCE 49' Hinckley Ketch 1973.....Now asking $199,000. ABSOLUTELY BEAUTIFUL HINCKLEY 49 KETCH!! Circe is a very beautiful example of the classic Hinckley 49 ketch! She has been extremely well maintained by her current owner for the past four years and sailed seasonally throughout the Bahamas. Circe offers an Intercoastal-friendly rig with a 57' mast height and shallow draft capabilities with her centerboard configuration offering 5'8" draft. Circe is very well equipped with a generator, air conditioning and an Espar heating system, Raymarine C80 chartplotter, radar and SSB radio. All her systems are in top working condition and she is ready to sail away! AIRGLOW 54' Hanse 540e.....Now asking $499,000. Airglow is a world class yacht that has been meticulously maintained. She has a beautiful blue hull and is fully loaded with many extras both above and below deck, including a full suite of new Simrad integrated electronics. The remote controlled stern door can hide a hard rib tender, motor, two bicycles and two deck chairs.